Nothing's more nerdish than terrible glasses -- Clark Kent felt his made him seem so weak and ineffectual, a pair of tights would look "super" by comparison. 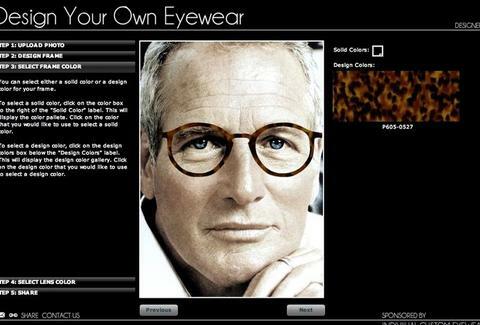 Take online control of your ocular destiny with Design Your Own Eyewear. Once finished, Indivijual will insert your design into an email you can forward to friends. If you/your friends approve, contact them and they'll make you a finished pair -- because there's really nothing more nerdish than playing with a glasses-design website when you don't actually need glasses.